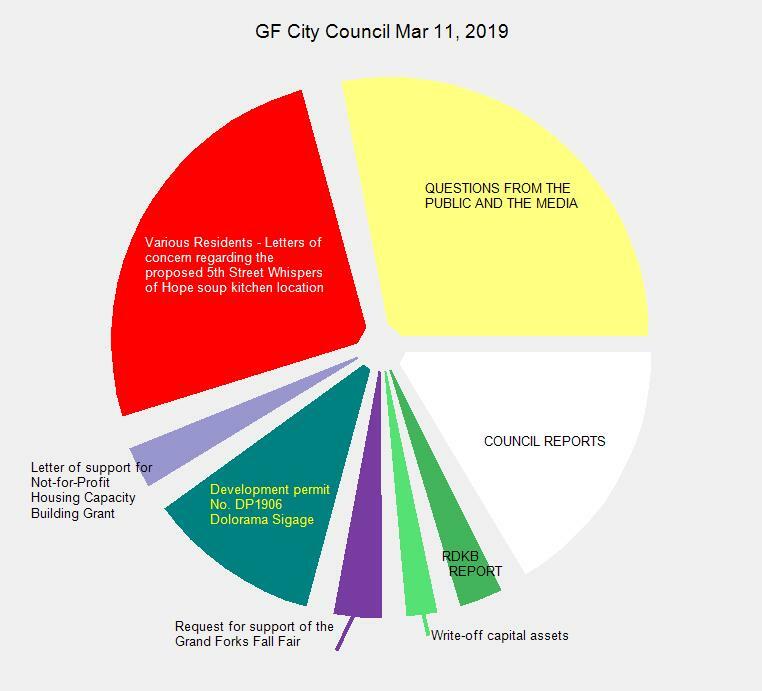 Grand Forks City Council had a full day with 3 public meetings starting at 9AM and ending near 9PM. Two items appeared in both meetings: Library repairs – something tangible council can work on . . . and Whispers of Hope; a thing not as easily solved. Read more about that in the Agenda in PDF or HTML format. The pie slices are buttons – click on one to watch the meeting from that point on. At 6PM there was a Public Feedback Session where almost none of the public showed up to ask questions or give feedback. The topic was 3 applications by Cannabis retailers. The evening meeting of council had a few items requiring decisions: capital assets being written off, support of the Grand Forks Fall Fair, and the Dollorama Signage. For Information they got the Crime Stats from the RCMP (though not presented by anyone from the RCMP). And they also heard from some citizens with concerns regarding the Whispers of Hope’s choice of location for the soup kitchen. Read those letters to council and more about that in the Agenda in PDF or HTML format. 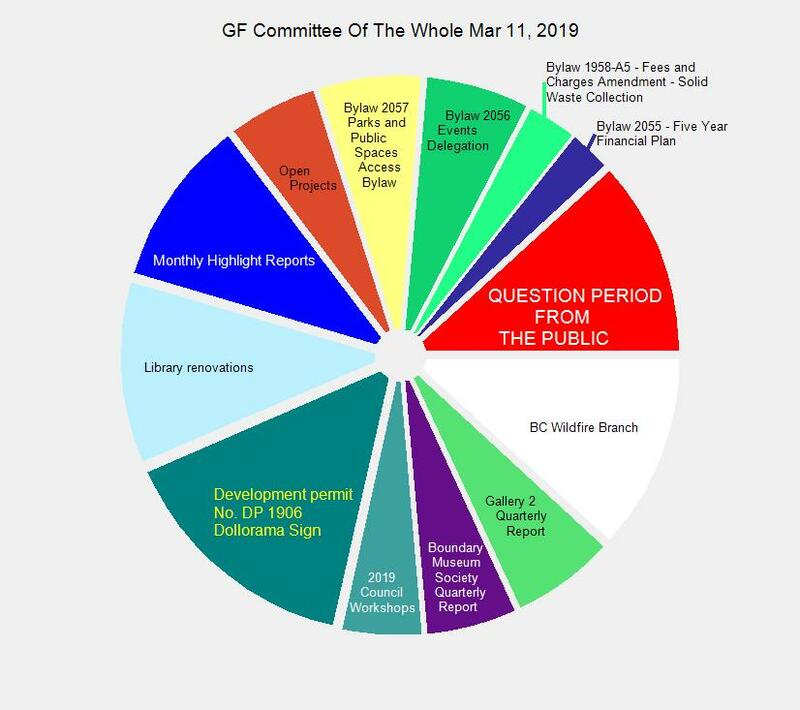 This entry was posted in City, government and tagged cannabis, council, dollorama, Whispers of Hope on March 19, 2019 by gftvboss.